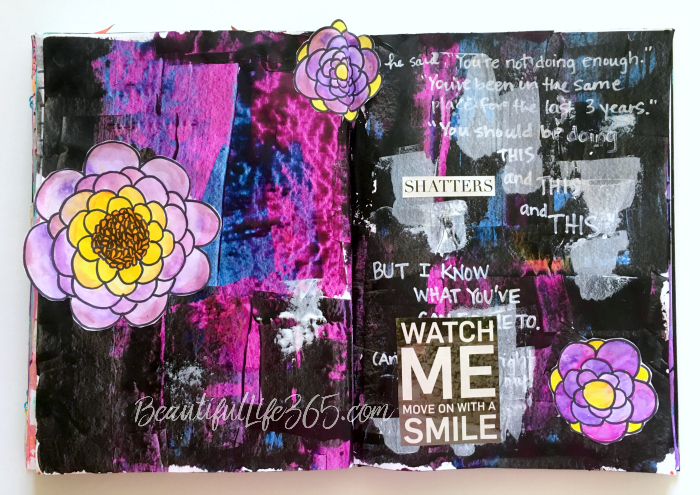 If you’ve been hanging around for a while, then you know I love to art journal. 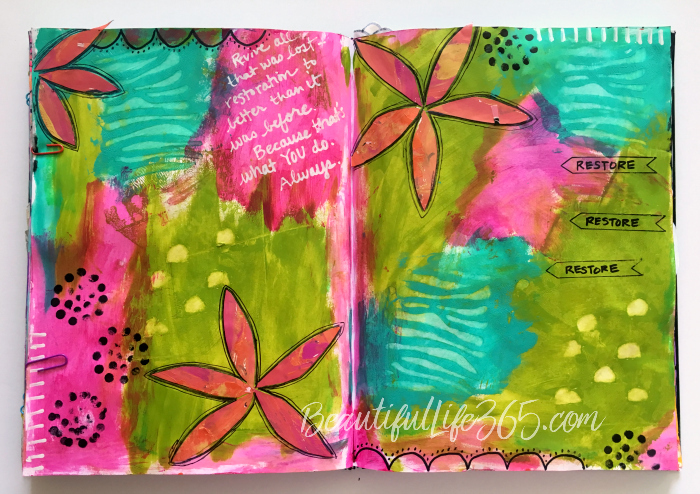 There are so many benefits, but today I want to focus on the ways art journaling can help you connect spiritually and emotionally. 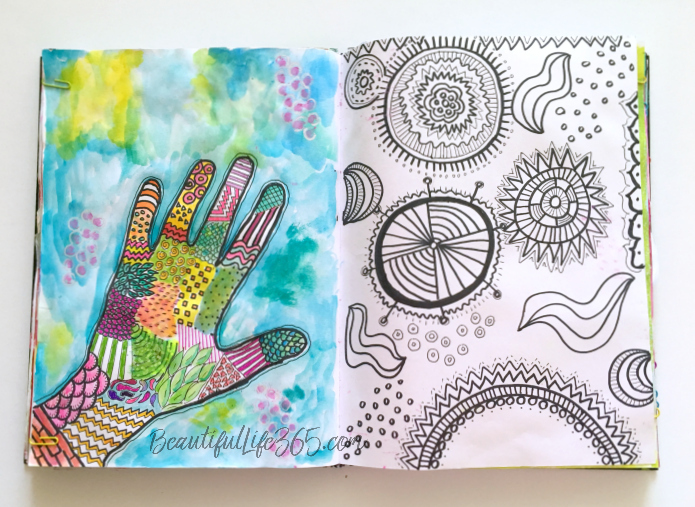 Mindless doodling is a simple way to relieve stress in your life — and it doesn’t have to be complicated. I like to start with a shape and then fill it in with different types of patterns as I’ve done on the pages above. 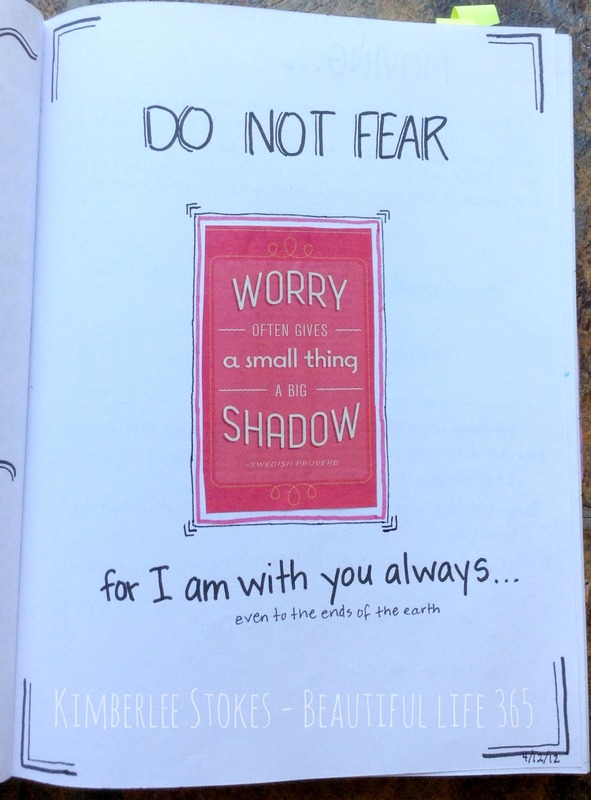 Sometimes I use my journaling as a form of prayer. I pray while I’m creating the page and sometimes write my prayers directly on the page. In the photo above, I prayed for restoration for some things in our family. 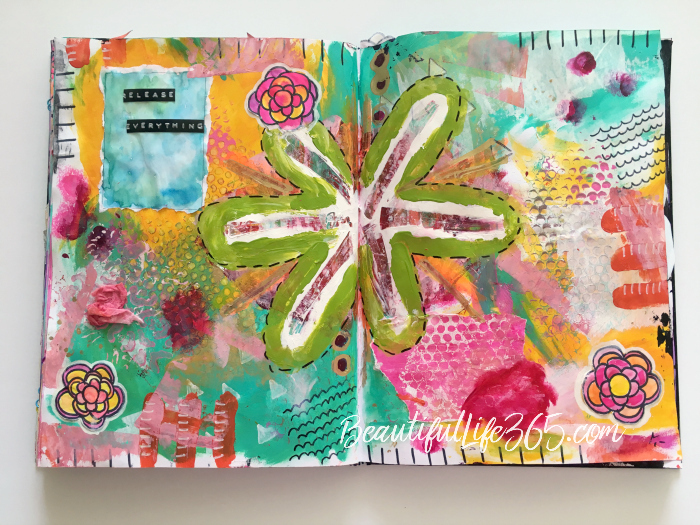 Sometimes when I sit down to art journal I don’t really know what I’m thinking or feeling, but toward the end of my time I realize that I was processing deep feelings. 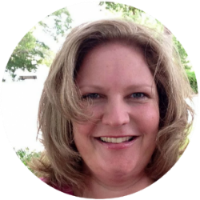 After I created the page pictured above, I realized that I was expressing an emotional explosion I had just experienced as I released years of pent-up grief over an event. Although grief may seem dark, the relief I felt is expressed in the beautiful colors that I used. At other times I know EXACTLY what I’m feeling — I just need an avenue to express those feelings. When I sat down to complete this entry I started by scraping dark colors down the pages with a plastic gift card. The colors seemed appropriate because I was very upset by some words that someone had spoken to me that were hurtful and accusatory. It helped so much to put it all down on paper. The next day I felt so much better about the entire situation so I went back and added the flowers representing my forgiveness of the person. And just so you know, my early pages did not look this “finished” or even look pretty, but I kept journaling and after a few years of practice, I’m starting to like the way my pages look.